Joy the Baker Cookbook includes everything from "Man Bait" Apple Crisp to Single Lady Pancakes to Peanut Butter Birthday Cake. Joy's philosophy is that everyone loves dessert; most people are just looking for an excuse to eat cake for breakfast. 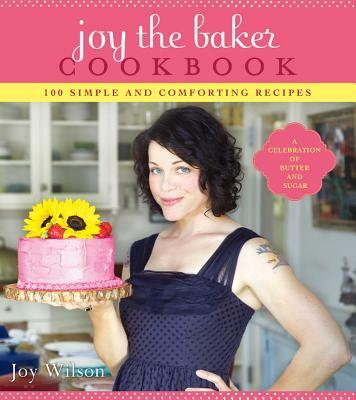 Joy Wilson is a self-taught cook who grew up baking with her Dad. In 2006, she started a wedding cake and wholesale baking business in L.A.. In 2008, she began the Joy the Baker blog, which was named "Best Baking Blog" by Foodbuzz in 2009, and was also nominated for "Best New Blog" in the 2009 Bloggies. In 2010, it was again nominated for a "Best Food Blog" Bloggie. It was named one of the "Top 50 Food Blogs" by The London Times. Joy is also a co-founder of On the Lamb, a roving events company that throws speakeasy parties, underground suppers, and teaches culinary classes all over Los Angeles. Along with her co-founders, she has gained a big following in Los Angeles after being featured on Daily Candy.